Choosing a mortgage is an integral part of the home buying process. Opting for a 15-year mortgage term instead of the traditional 30-year term seems like a smart move, right? Not necessarily. Going with a shorter mortgage term does have some interest-saving benefits. However, if you’re income is too low for a 15-year term, a 30-year mortgage will be cheaper on a monthly basis. 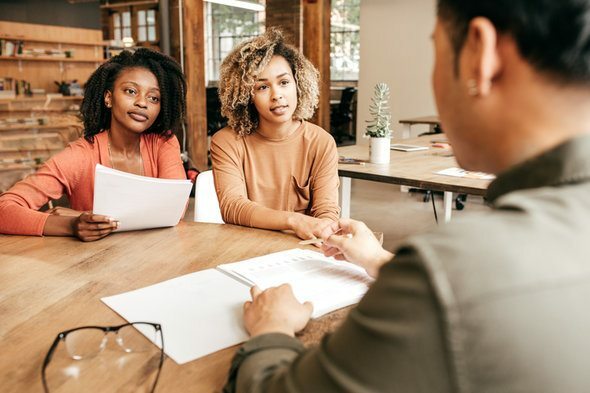 If you’re on the fence about which type of mortgage you should choose, take a look below to figure out which one is right for you. The main difference between the 15-year and 30-year mortgage terms is how payments and interest add up. With a 15-year mortgage, your monthly payments are higher but you’ll pay less in interest overall. With a 30-year mortgage, the opposite is usually true. You’ll end up paying more for your house due to the interest. But your mortgage payments will typically be smaller. When you’re trying to decide on a mortgage term, think about what’s best for your budget. Try weighing it against the overall costs. For example, let’s say you want to borrow $150,000 towards the purchase of a home. You can choose between a 15-year mortgage rate at 4.00% or a 30-year mortgage at 4.50%. On the 15-year plan, your payment would be approximately $1,110 a month, not including insurance and taxes. You would end up paying close to $50,000 in interest over the life of the loan. If you opted for a 30-year loan, your payment would drop to just $760 a month. But then you would pay nearly 2.5 times as much in interest. You would have around $350 extra a month to pay down debt, build emergency savings or fund your retirement. That could be greatly beneficial, but your home would come with a much bigger monthly price tag. 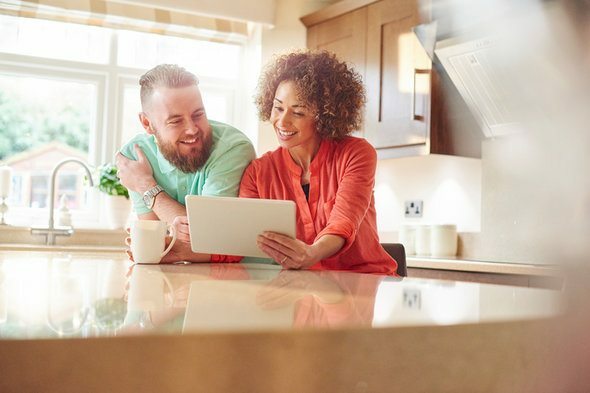 Choosing a 15-year mortgage can be the right choice for some homeowners, but it all depends on your personal situation. If you’re thinking of going the shorter repayment route, be sure to evaluate your finances carefully first. This way you can make sure that you’ll be able to sustain the higher monthly cost. One thing to consider is your job situation. If you have a stable career and don’t expect your income to drop significantly at any point, then a 15-year mortgage may be the right call. But what if you were to unexpectedly lose your job and couldn’t make your mortgage payments? You wouldn’t have enough income to qualify for a refinance. This situation would spell serious financial trouble. You will also want to think about how having a higher mortgage payment will impact your financial goals. Paying down your mortgage faster could seem like a great plan. But if it means losing out on building your nest egg or for your child’s education, then maybe it’s not great for the long run. Extending your mortgage term over 30 years gives you a little more wiggle room when it comes to saving. Plus you’ll get a bigger bang for your buck when it comes to the tax benefits. You’ll be able to claim the mortgage interest deduction longer. This can put more money back in your pocket each year. This could be particularly beneficial if you expect to still be paying for the home after you’ve retired. Since you may not be able to take advantage of other tax deductions, the mortgage deduction could help. The other advantage to going with a 30-year mortgage term is that you have the option of prepaying your mortgage. Say you pay an extra $100 each month or throw your tax refunds at your principal balance each year. You’ll be paying your mortgage down faster and saving money on interest without straining your budget. Even something as simple as making payments on a biweekly schedule rather than monthly can shave years off your mortgage. Keep in mind that it takes discipline to pay down your mortgage early. If you don’t follow through, you’ll end up forking over big bucks in interest. Also be sure to ask your lender whether you’ll get hit with a penalty for prepaying. When you’re comparing mortgage terms, you need to look beyond the interest and see the bigger financial picture. You’ll be able to build equity in your home faster by paying it off in 15 years. But this also means you might pay a price in terms of sacrificing your other financial goals. Going with the longer term gives you more freedom when it comes to saving and investing. But in this case, you may get tired of carrying the debt burden. Ultimately, it comes down to what works best for your budget and your peace of mind. Before you even begin the search for a home, stop by SmartAsset’s home affordability calculator. This will help to keep your home choice realistic and within your financial means. It might not be a bad idea to look over current mortgage rates as well. If you’re not sure what kind of mortgage will be best for your long-term financial situation, consider talking to a financial advisor. A matching tool like SmartAsset’s can help you find a fiduciary advisor to work with to meet your needs. First you’ll answer a series of questions about your situation and goals. Then the program will narrow down your options from thousands of advisors to three who suit your needs. You can then read their profiles to learn more about them, interview them on the phone or in-person and choose who to work with in the future. This allows you to find a good fit while the program does much of the hard work for you.